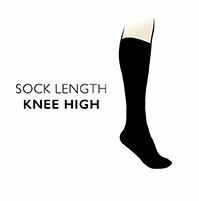 Bridgedale All Mountain MerinoFusion Midweight Ski Socks are long, protective multi-use winter sports socks with underfoot warmth and pressure protection built-in, thanks to a full terry knit-looped inner. In both men's and ladies' fits, these merino wool blend socks are perfect for skiers, snowboarders or any snow sports enthusiasts. With their trademarked MerinoFusion SKI technology, Bridgedale combines Merino wool, with its superb insulating properties and next-to-skin softness, with specialised technical fibres that can rapidly transport moisture away from the skin, keeping your legs and feet dry and comfortable.